Redux of the Jedi is a completely unauthorized and unofficial novelization of Return of the Jedi, in which I depict an alternate version of the story. 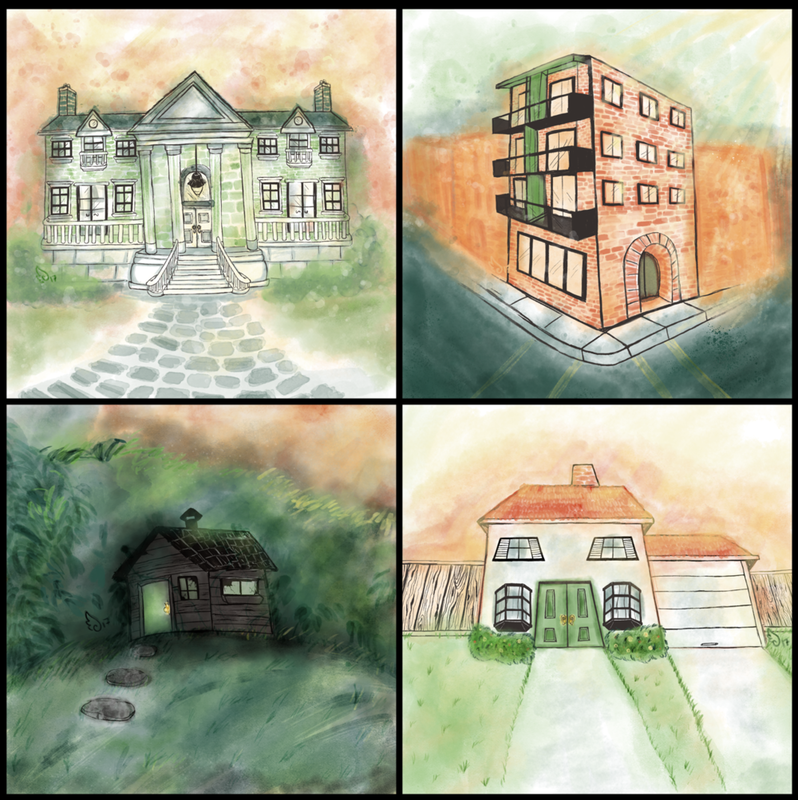 It's kind of like a cover song: I've taken elements of the original, and recombined them with new elements to put my own spin on a preexisting piece of art. As much as I love ROTJ, there are a few things that have always bugged me about it. So in this adaptation, I have replicated many of the scenes and characters from the original story, and added new scenes and characters based on my personal preferences and sensibilities. 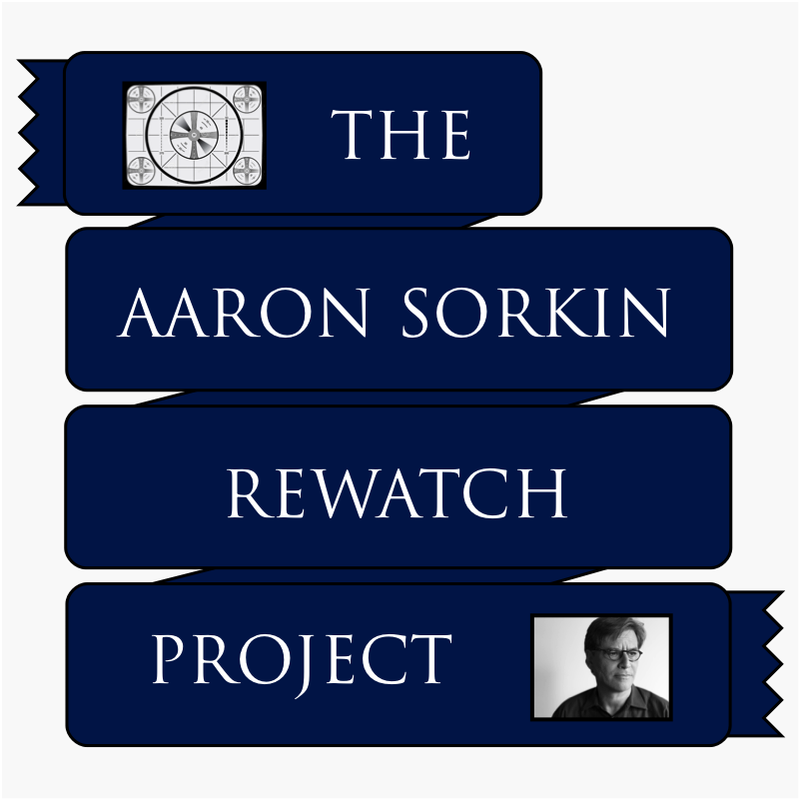 Despite the many alterations I have made, I hope that no aspect or element of this project is interpreted as disparagement or rejection of any preexisting or forthcoming works. Four decades of creators and artists have breathed life into Star Wars, creating the enduring global phenomenon that we all know and love. This project–and any other works inspired by their creations–owes a great debt of gratitude to their endeavors. Special thanks is also due to the curators and contributors on Wookieepedia, who help keep the myriad and labyrinthine information about the Star Wars canons organized. 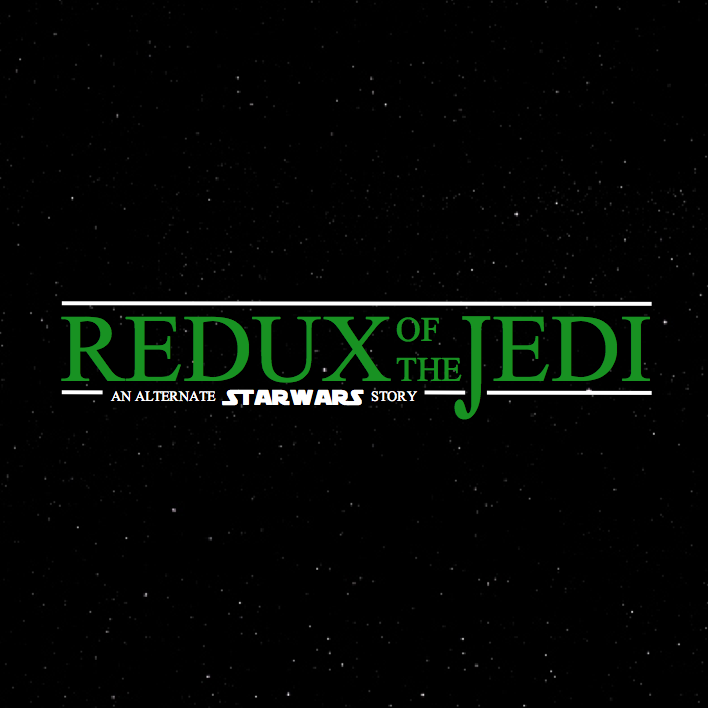 I am thrilled to present a passion project that took me three and a half years to write and edit: Redux of the Jedi. If all this sounds like your cup of blue milk, then please check out Redux of the Jedi right now! If you like it, I hope you'll let me know, or maybe tell a friend. If you don't, then this is a time for quiet reflection–spend some time alone, not sharing your thoughts or feelings with anyone. Click on the links below to start reading–for free! As a lifelong Star Wars fan, I've had hundreds of conversations with friends (and strangers) about the various aspects, details, strengths, and weaknesses of the many films, books, games, and toys created under the banner of that franchise. In early 2014, in anticipation of the then-forthcoming films from Lucasfilm after its purchase by Disney, ac couple of friends and I engaged in a particularly evergreen debate amongst fans: ranking the Star Wars films in order of quality and watchability. The conversation inevitably turned to Return of the Jedi, an installment of the saga that is often regarded as a series of missed opportunities and regrettable decisions. We started talking about what we would change to improve the story and the relationships between the characters, and I jokingly proposed that I could write new version that addressed our issues with the original. What changes could be made within the general framework of the original story to make it a more fitting successor to Star Wars and Empire? Rather than creating an entirely new story from the ground up–one that might not contain a second Death Star, Jabba the Hutt, or a confrontation with the Emperor–how could the existing characters and sequences of events be improved upon...? I might have forgotten about that conversation, but my friends challenged my to put my keyboard where my mouth was (probably not in those words.) I rewatched the movie, made some notes, shared some ideas, got some really useful feedback, kept at it in my spare time... and now, here we are. Drawing on script drafts & production notes, and decades of interviews, art, critical analysis, resources like The Making of Star Wars: Return of the Jedi by J. W. Rinzler and The Secret History of Star Wars by Michael Kaminski, and a lifetime of accumulated knowledge of the Star Wars galaxy and its Expanded Universe of tie-in materials, I have crafted a alternative version of the classic story. I've put hundreds of hours into the development and refinement of Redux of the Jedi, and it's been the single most demanding and grueling creative experience of my life–and an absolute joy. This project was, of course, made far easier by the fact that it is based on a film. I didn't have to do most of the worldbuilding in this novelization contains myself, I had the cinematography, production design, performances, editing, and score to draw upon and be inspired by. Like many volumes of ongoing franchises, the development of Return of the Jedi presented two challenges at once: it is both the second half of the story begun in The Empire Strikes Back, and the conclusion of the trilogy begun in the original 1977 film. It had to fill both of those roles simultaneously–without the entire story degenerating into a series of foretold payoffs. In 1981 & '82, when George Lucas, Lawrence Kasdan, and the rest of the production team were creating the story for ROTJ, they were limited in what they could put on screen. They had to be concerned with the various constraints of filmmaking: casting, locations, digital technology, props & creature effects, and merchandising & marketing. This project has no such allegiance to practical considerations, and therefore can depict things that could never have been feasible for a movie made in the 1980s. The production design and technical effects painstakingly crafted for Jedi were unrivaled in their time–but not only have their been leaps and bounds in these areas over the past 40 years, nothing could ever compete with the imagination. Additionally, since I wrote this so many decades after ROTJ was released, I was able to integrate characters and situations that were created in the time since to deepen and broaden the telling of this tale. I borrowed story elements from a great number of talented authors and creators who worked on the novels, comic books, novels, short stories, and games devised by Timothy Zahn, Michael A. Stackpole, Kevin J. Anderson, Tom and Veitch (and too many others to name.) Their projects are vital parts of the history of Star Wars, and are inexorably woven into the fabric of the Expanded Universe. Redux of the Jedi is a work of impossibility, inspired by works of fiction. It is a version of Return of the Jedi that we never could have actually had, but that I personally would love to have seen.